IN Wednesday’s Spectator, Pieter Cleppe of the independent think tank Open Europe in Brussels writes that Martin Selmayr has taken over the Brexit negotiations on behalf of the EU. 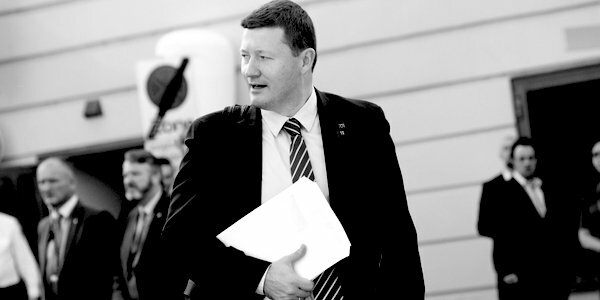 Selmayr – the ‘Monster of Berlaymont’ – was recently appointed Secretary General of the EU Commission in a brilliantly executed coup-like power grab. He has been described as having ‘near total control of the EU machine’ and may be the most powerful bureaucrat in the world. Cleppe suggests this is bad news for the UK, since Selmayr has previously shown himself to be no Anglophile, and as President Juncker’s right-hand man he has been perceived as unnecessarily complicating Brexit negotiations. He has been accused of wanting to punish the UK for daring to try to leave the EU, and wants to stymie Brexit to put the frighteners on any European populists who are becoming increasingly eurosceptic, for example in Italy, France, and even Germany. The official EU negotiator, Michel Barnier, has generally been regarded as tough but responsible and professional. Selmayr has no such reputation. He has been obstructive and far from conciliatory towards other member states, for example in connection with asylum quotas and his relentless drive towards greater federalism. It was Selmayr who pushed for the appointment of Jean-Claude Juncker as Commission President against the better judgment of Angela Merkel, who then broke her promise to David Cameron not to back this ‘EU Federalist’. Immediately following Tuesday’s votes in the Commons, EU leaders said clearly there could be no re-opening of the Withdrawal Agreement for new negotiations. But as Cleppe points out, while the EU institutions have to be seen publicly to play hardball and take an uncompromising position over any Brexit deal, the rumours in Brussels are that member states have already been discussing concessions, for example on the backstop and exit mechanisms, but behind closed doors, as politicians and diplomats usually do. So you have to wonder why the unelected bureaucrat Selmayr would want to step into this crucial political role. Already, EU intransigence has led, not to supine obedience, but to an increase in popular antagonism and the rise of Right-wing anti-EU parties. Cleppe points out that Selmayr’s outspoken opposition to any flexibility in the Brexit talks could endanger the positive ties that almost all EU politicians want to maintain with the UK after Brexit. And to crown it all, the latest gossip in Brussels is that Selmayr’s next career move is to be appointed the first EU Ambassador to the UK. Now that the Obama-promoted EU Ambassador to Washington has been quietly demoted by President Trump it’s difficult to imagine The Monster being invited, at any time in the near future, to the Court of St James’s. So perhaps, while the news is bad for the UK, it is also a potential disaster for the EU. The more intransigent and punitive the negotiators are, the more likely the UK will be forced into a No Deal Brexit. Whatever the outcome, the relationship between the UK and the EU member states will still be of massive importance. The rise and rise of this would-be Top Dog, undiplomatic to the point of outright hostility, does not augur well for the future of both parties, perhaps for the EU even more than Britain. You can see why he chooses not to stand for election . . .